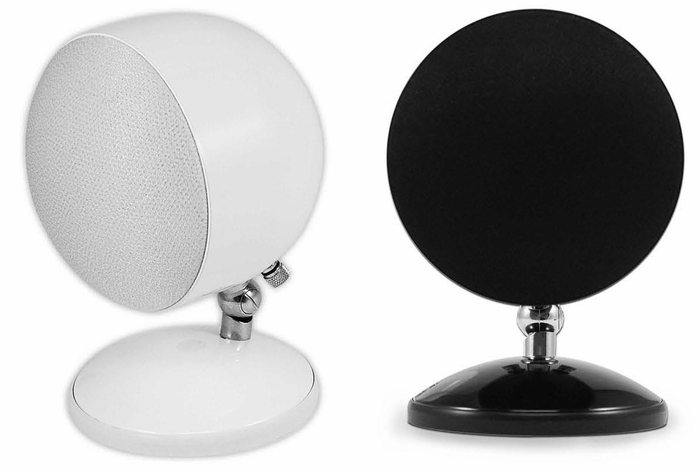 The OSD Sphere speakers can be used as main channel speakers or mounted on the wall for rear surround. Guaranteed to sound better than other ball speakers on the market or your money back! Our Sphere satellite speakers are perfect for those who don't want to sacrifice sound quality by going with smaller speakers. With 100 watts per speaker you can fill the room with audiophile sound. Pair these up with a subwoofer and you got yourselves a low budget audio system. Hello Tom, No - these speakers do require power from an amplifier. Is there a ceiling mount option for these speakers? are these run on wifi?